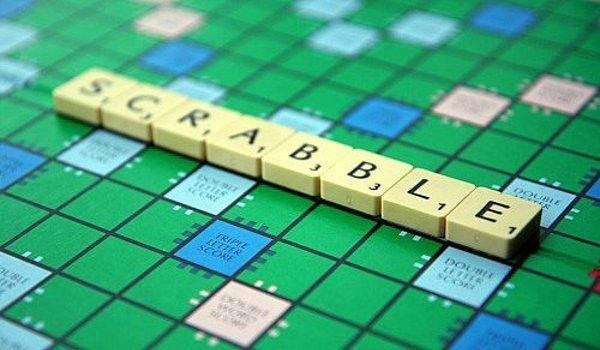 Scrabble for Android has now been released, the board game is one of the most popular games in world and now you can play it on your smartphone or tablet. This new game allows friends to connect where 50 gamers at one time can play each other, and another great feature added is the word finder. Welcome to the Android world of Scrabble, this is where gameplay combines with graphics on a smaller screen instead of the board, not like you can just carry the cardboard version with plastic tiles everywhere with you, now you can. This is the real Scrabble, but can it take on the popular well-established Words with Friends, when you install Scrabble for Android and enter the game users will be notified when it is their turn to play, share your achievements on Facebook and others. This game comes with many cool features such as unique Scrabble-themed animated wallpaper; it also gives the option to play in German, Spanish, French, Portuguese, Brazilian or Italian. Main Game Features Include: Get up to 50 games going at once, Collins Official SCRABBLE Wordlist, which is sort of like a word finder to make sure the word exists, see what word would have been better after your turn, a stunning chat feature is within so you can chat with your opponent, customisation of the board and so much more. Please install Scrabble for Android via Google Play for free, do you think this Scrabble game can compete with Words with Friends? It’s a little too late for that. Now if there are less to no ads on it then it may have a fighting chance. Shame it’s such an appalling program. Seriously, if you want to play online Scrabble, just get WordFeud. If you want to play the computer, get CrossCraze. Both are far superior to the official game. It will never take off. And if any of you out there are thinking of using it – DON`T BOTHER AND PLEASE DONT WASTE YOUR MONEY PAYING FOR IT. T IS A RUBBISH GAME NOW STICK WITH WORDS WITH FRIENDS OR LEXULOUS. Yes, the new Scrabble CAN compete with WordsWithFriends, to see which is the biggest pile of rubbish. WWF is a vile, childish imitation of Scrabble, so why is Scrabble now a vile, childish imitation of WWF?????? could not agree more Bili – a concise summary of the problem. I’m happy for anyone who wants to play these games to play them but why do thousands of people who just want to play Scrabble plain and simple with people they chose to play have to give that up so other people can have this? It has all the negative points of WWF and none of the positive points of the old Scrabble. Keep your app… give us our game back. Other languages are awesome if you speak them – android is great if you have it. Alienating thousands of loyal players who love an authentic high quality SCRABBLE game that’s superior to WWF and this new scrabble based competitor IS NOT OK. Its hurt thousands of long term loyal Scrabble players and gutted an online community built around SCRABBLE. Now online Scrabble = WWF. Everyone who played the old Scrabble hates it. EA/Mattel what reason have you that both can’t be available so everyone is happy? PLEASE BRING BACK SCRABBLE and LET Scrabble players choose the version they want to play. Playing Scrabble on Facebook was a pleasure for so many people until it was recently replaced by a really inferior version. Many of the previous useful functions have been lost and many of us are really disappointed. This is not progress – this is a huge backwards step and will lose many loyal customers. IT USED TO BE THE MOST POPULAR BOARD GAME UNTIL YOU RUINED IT!!!!! This new game has deprived us of choice, we cant choose who we play (major safeguarding issue for children, they cant now pick and choose who they play!!!! yet the game looks like a junior game of scrabble!!) choice of timed game, choice to forfeit a non player without loosing, choice to clear stats and start a fresh if we wish. On the whole this game has been ruined, full of glitches, adverts and time delays between turns. But once again my major concern are the safeguarding issues!!! !